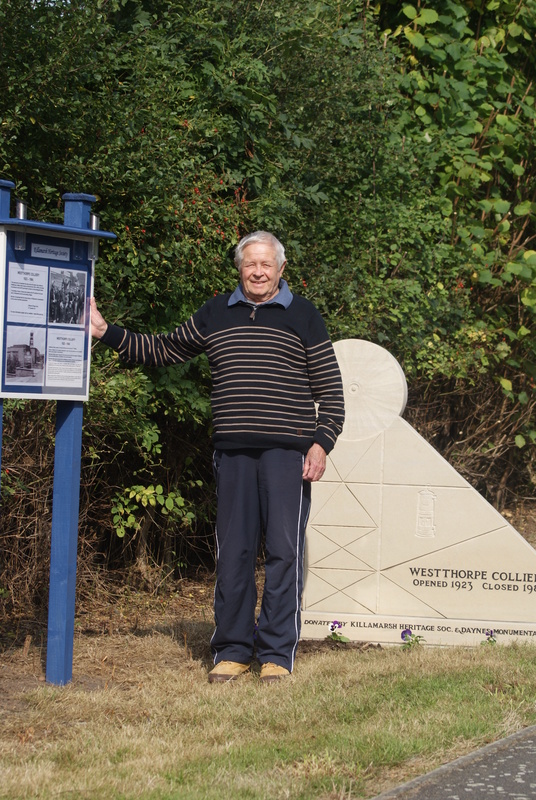 David Brocklehurst at the Westthorpe Pit memorial – September 2014. Photo courtesy of Tony Ward. The memorial stands on the grass verge as near as possible to what used to be the entrance to Westthorpe Colliery.